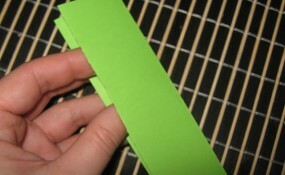 Take one part and fold it in two. 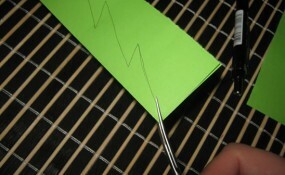 … then cut it out. 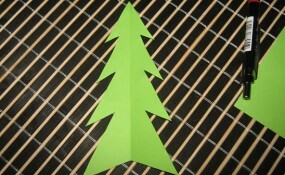 Unfold, and you have a tree. 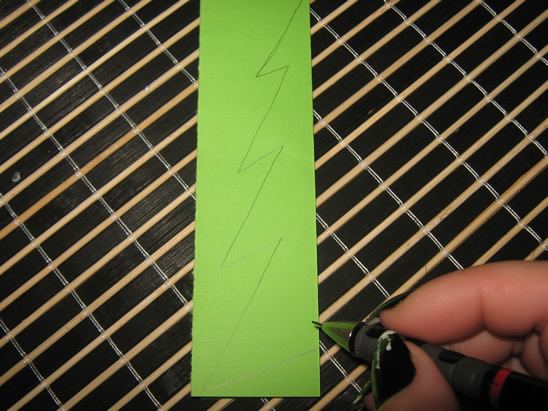 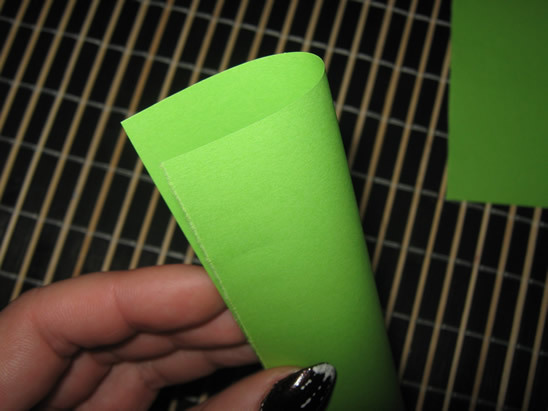 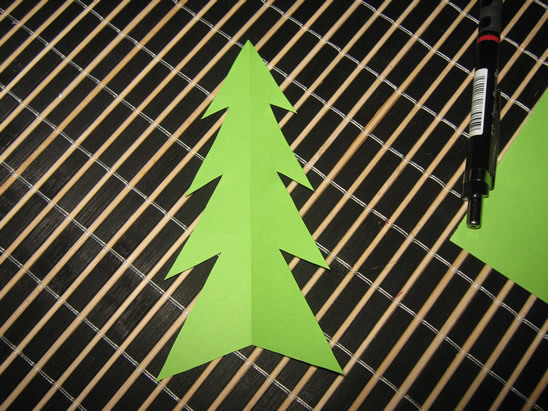 Repeat to make a second tree from the other piece of paper. 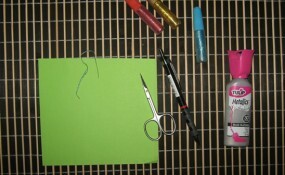 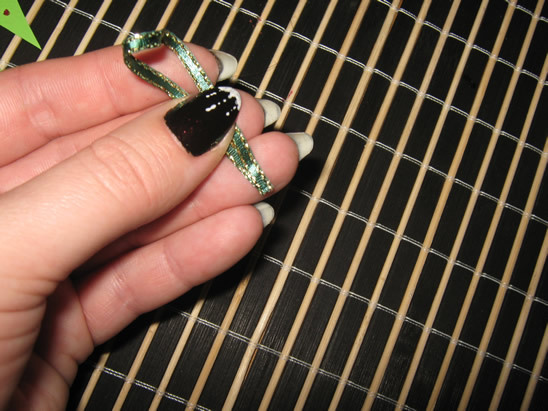 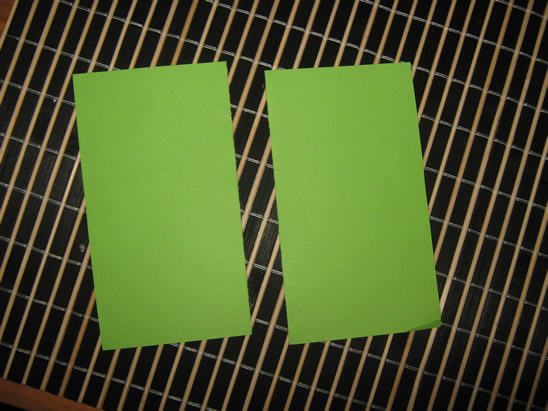 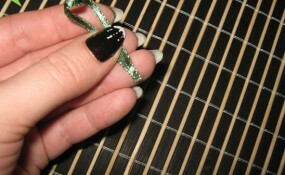 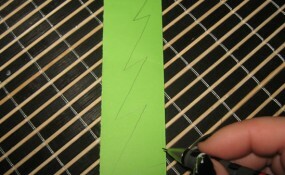 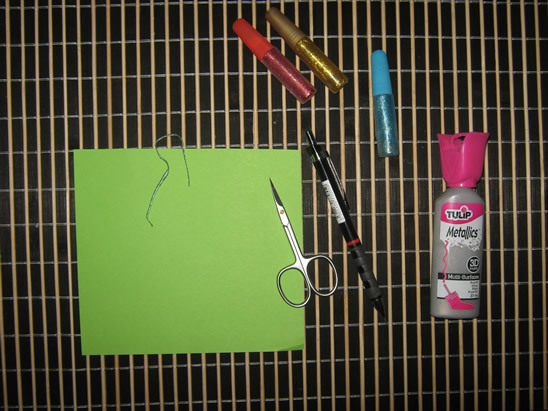 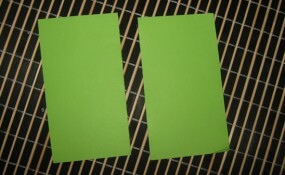 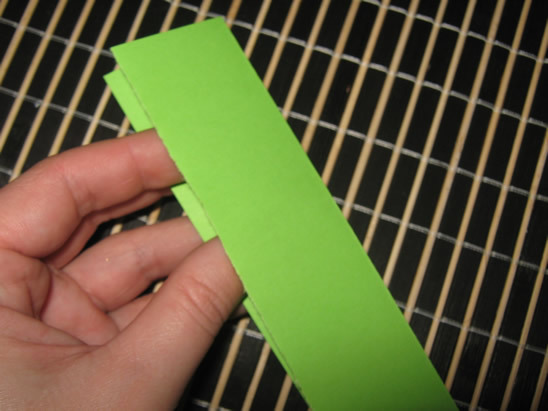 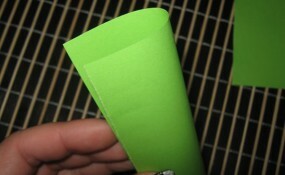 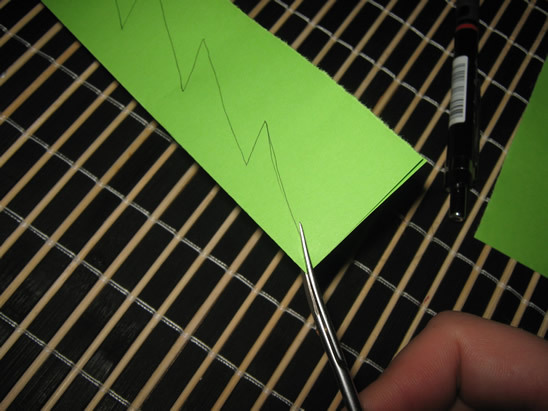 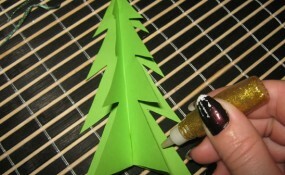 Use a small amount of glue to keep in place at the top and and the base. 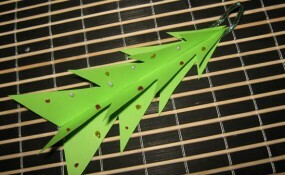 Decorate the tree using glitter glue. 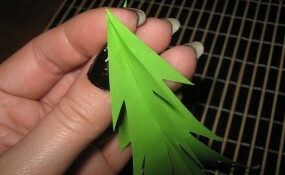 I decorate it with small globes. 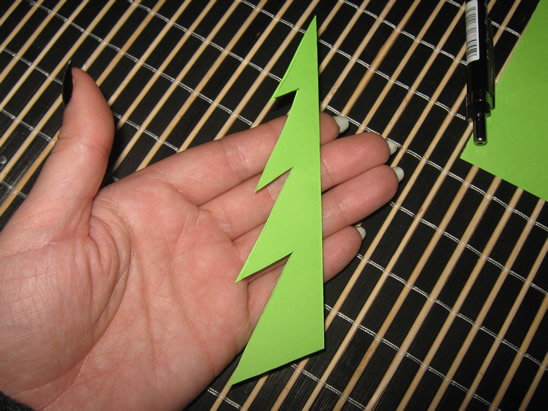 … then glue it on top of the tree and the ornament is ready. 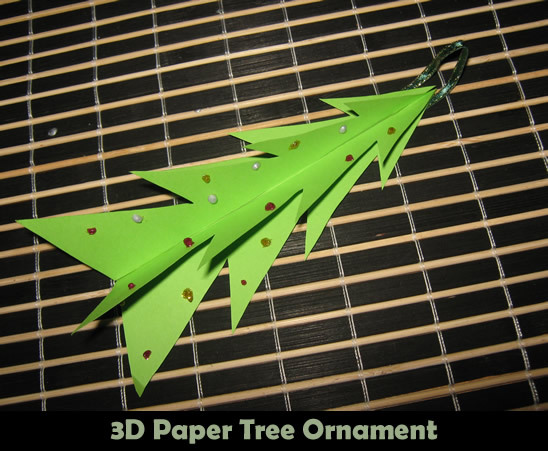 Isn’t this 3D Christmas Tree Ornament precious? 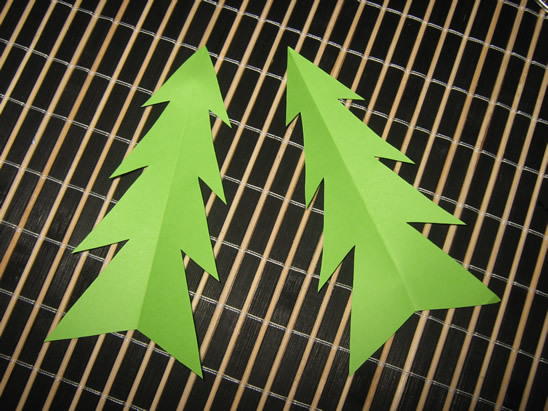 It simply is. 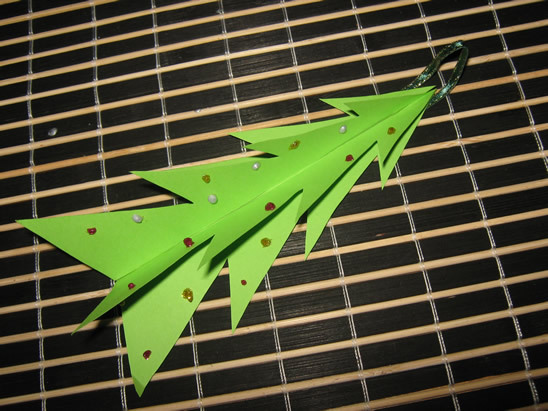 It will look terrific on your Christmas tree. 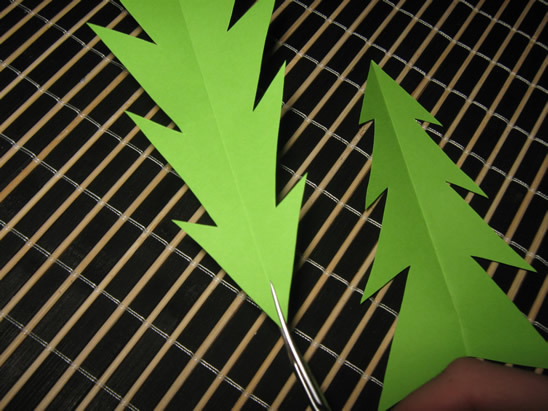 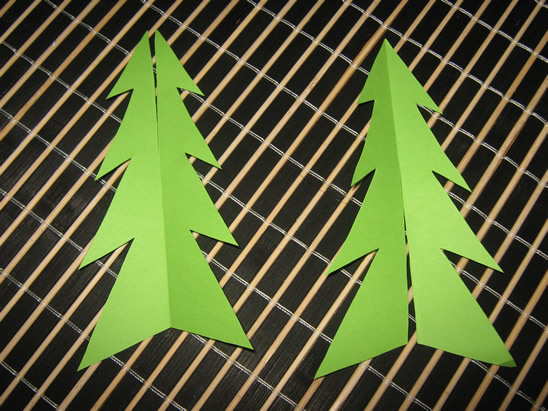 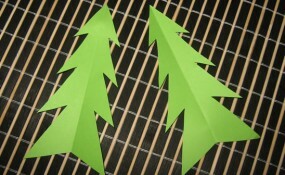 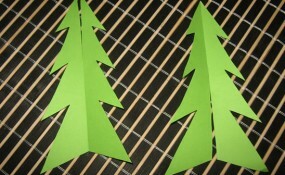 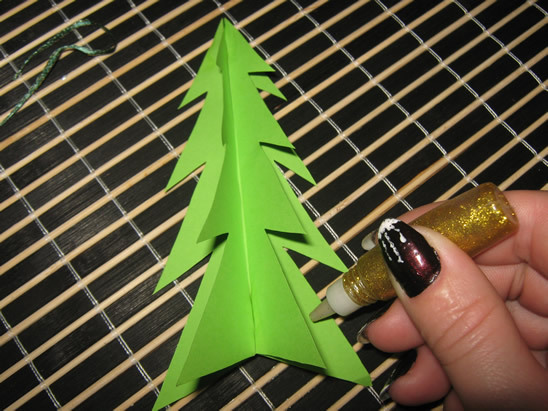 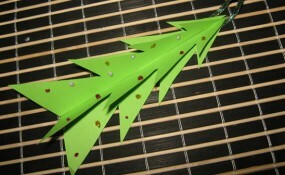 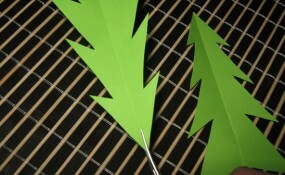 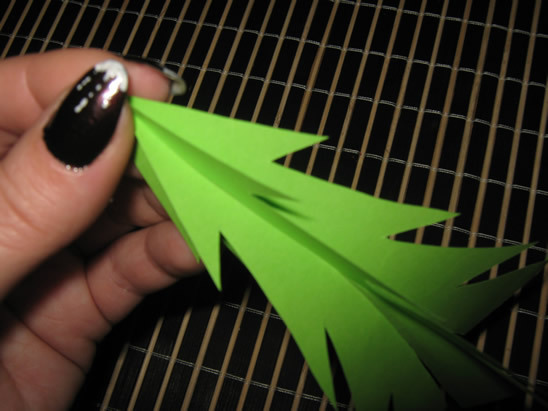 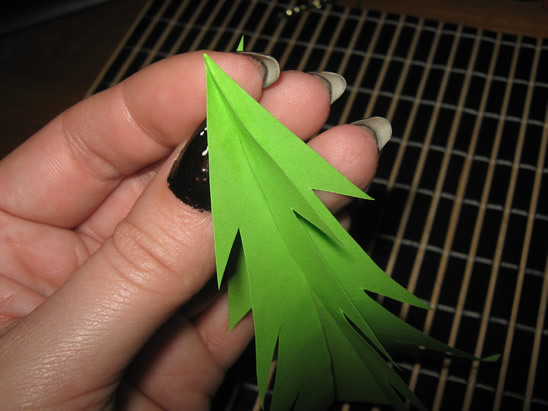 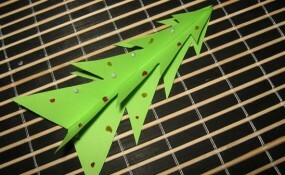 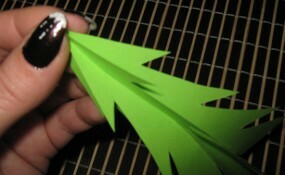 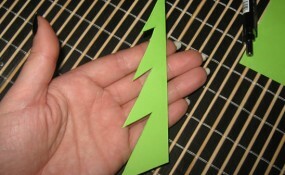 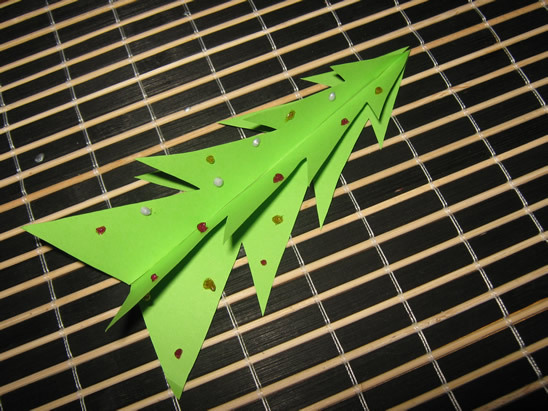 It’s so simple you will be able to make a few to spread around your tree.